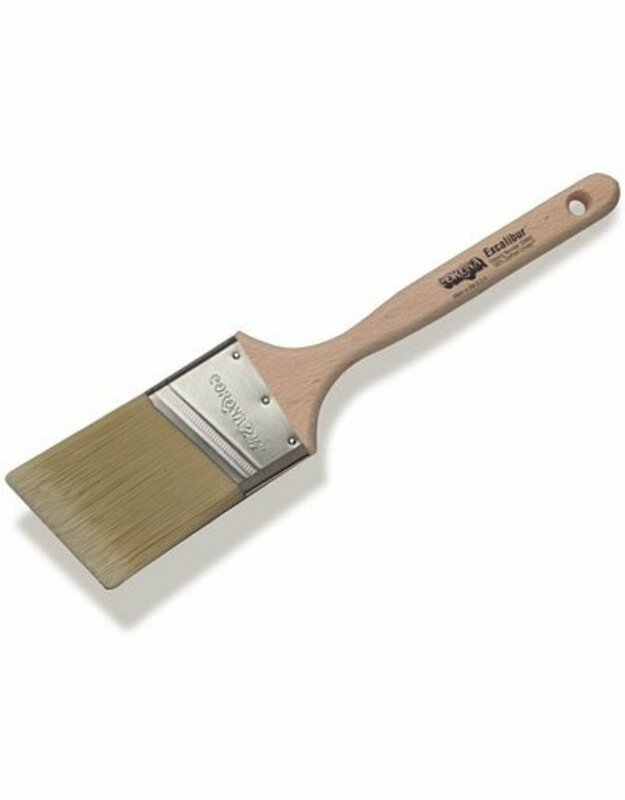 Home / Corona Brush Chinex Excalibur 2.5"
Angular. Hand formed chisel. Unlacquered hardwood sash handle. Stainless steel ferrule. Chisel The pointed edge of a paintbrush. Corona's professional chisel edge is hand formed at the base. This labor-intensive method enhances super sharp cutting-in and retains the majority of the soft flagg tips for superior paint pick-up and application. Ferrule Metal or plastic band used to contain the "knot" of the bristles. Corona uses specially treated stainless steel ferrules in its professional brushes for superior durability and epoxy adherence. Paintbrush Handle An essential component in a Corona paintbrush. Our handles are durable, comfortable, and well-balanced. Designed, formulated, and constructed with a full stock of 100% DuPont™ Chinex® tapered synthetic filament to maximize the benefits of superior paint release and cleanup of this unique material. Chinex® An exceptional synthetic filament that more closely resembles natural China bristle in appearance and characteristics than other synthetic filaments. 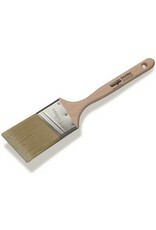 Known for excellent paint release and quick, easy cleanup with acrylics and all paints.